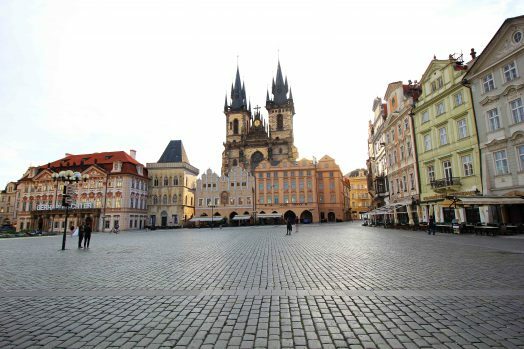 The Czech Republic is a fantastic travel country, spoiled with culture, great architecture and amazing nature jewels. 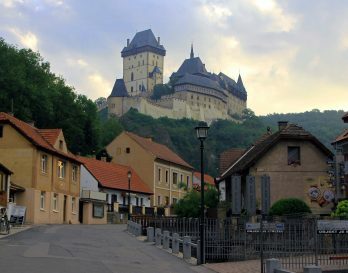 With around 2000 Castles, it is the most castle dense region in the world. The local food is more than delicious! You will feel like you’re in paradise if you are not a vegetarian. And do not miss the opportunity to try some of the world’s best beers! 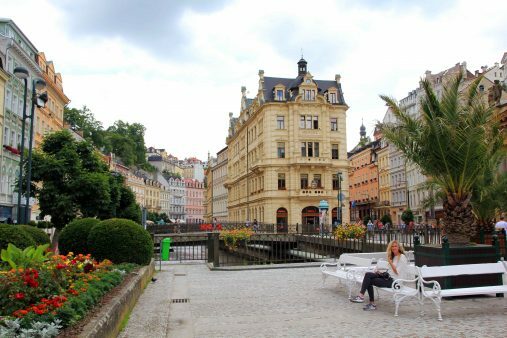 Our 12-day road trip through Czech Republic was an amazing experience and gave us the chance to see some of the best sights. We had been to Praha years ago, but this summer we decided to exp0lore some other parts of the Czech Republic. 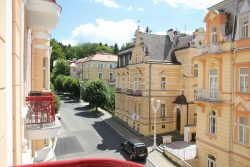 The Czech Republic road trip took us around 12 days, we visited some of the best places and in this blog post we will share our Czech Republic itinerary with you and give you a useful overview if you are planning a trip there. 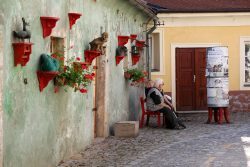 At the end of this Czech Republic road trip itinerary you will find useful insider tips for visiting the Czech Republic! 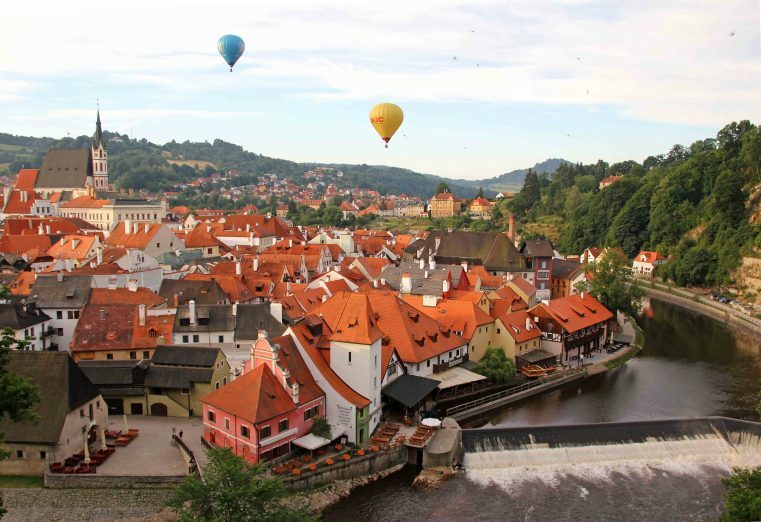 Day 1-2: Cesky Krumlov is one of the most beautiful small towns in Europe. Though most people just visit it for a day trip, we spent 3 days in this beautiful village and we didn`t get bored. 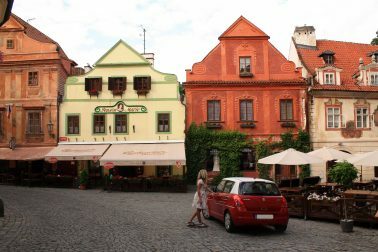 The Historic Center is a UNESCO World Heritage Center, with beautiful bright colored buildings, which give you great photo motives. 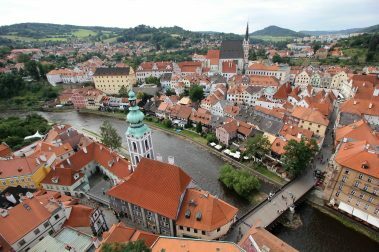 From the Cesky Krumlov Castle you will have a brilliant view to the town below and also the view from the tower of the Castle is breath-taking. 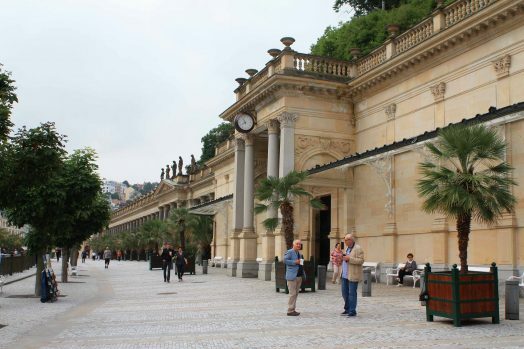 If you like art, you should absolutely visit the Egon Schiele Art Centrum. 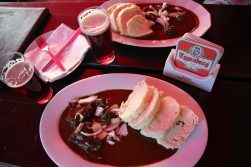 The best goulash and beer we had in the Eggenberg Brewery – the stuff is a bit grumpy there but the food is delicious. 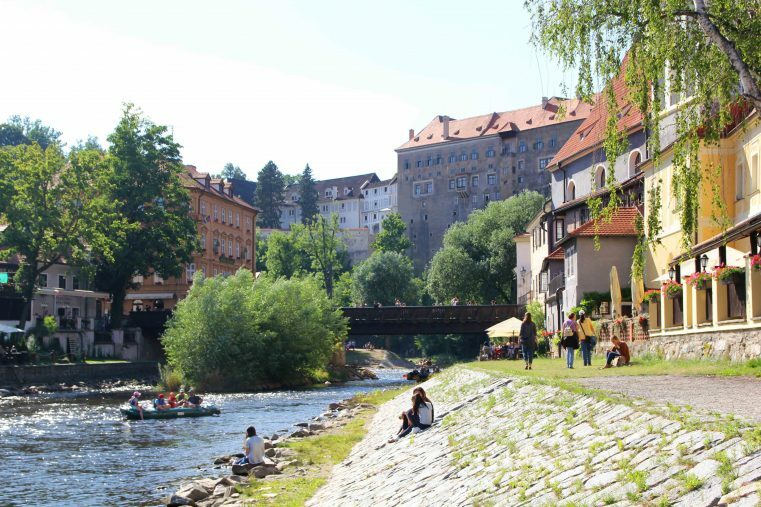 We recommend to stay the night in the Hotel Myln, located just next to the river – sure you will love the view! 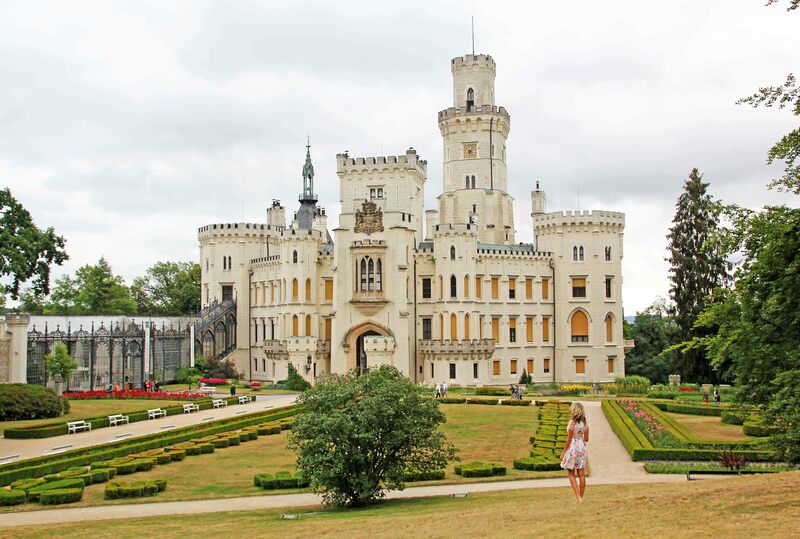 Day 3: Visiting Hluboka Castle is like visiting a fairy tale and it’s known as one of the most beautiful castles in Czech Republic. The locals call it the Czech Neuschwanstein Castle! 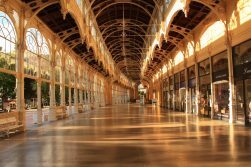 You should be there in the early morning to avoid the crowds. 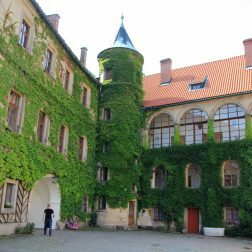 Actually, visiting the Hluboka Castle was a highlight at the Czech Republic road trip! 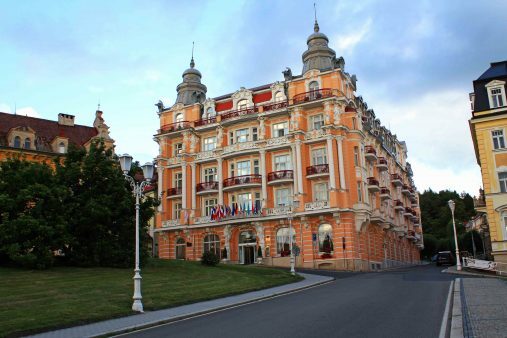 Located only 170 metres from the Hluboka Castle is the Hotel Stekl, which is one of the best places to stay in this area. 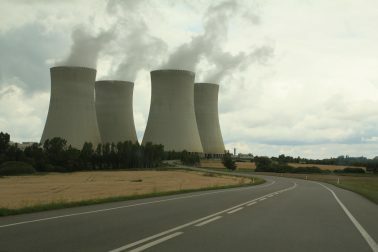 Heading to the Marianske Lazne, we came around to the Temelin nuclear power station – that was quite scary for us. In Austria we do not have any of them – and this one is one of the oldest and most unsecure in Europe. 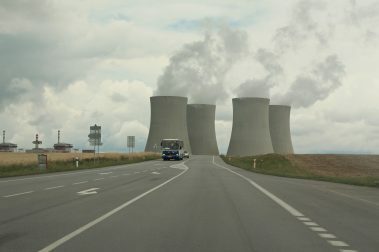 It looks giant with its 155 m high cooling towers. 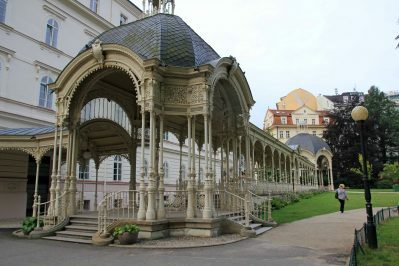 Day 3-5: The Marianske Lazne town offers lovely parks and elegant, historical buildings. 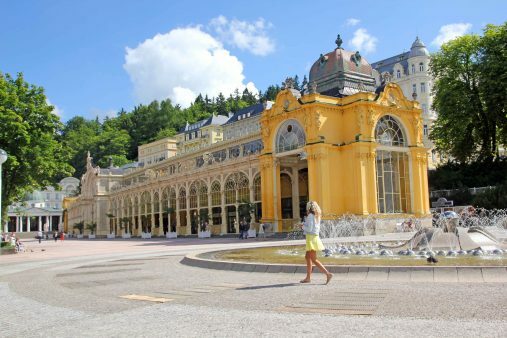 You shouldn’t miss the “singing fountain” next to the beautiful yellow baroque Colonnades. 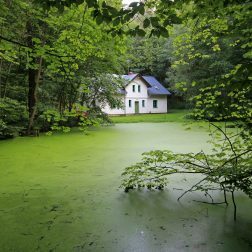 The different composition of the town’s numerous springs makes it the perfect place to treat a wide variety of ailments. 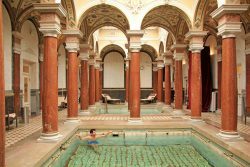 We loved our stay in the Danubius Hotels – the renovated old hotel was a hotspot of the aristocracy, so bathing in Roman style baths with its original red pillars from 1896 was a great experience! 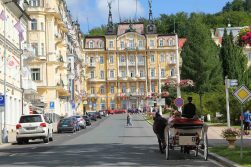 If you want to see the Roman baths you have to book a room in one of the Danubius Hotels in Marianske Lazne. They are all connected with a tunnel and you can use all the amenities. 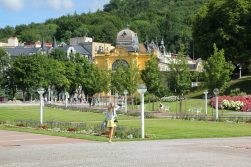 Day 5-6: The main reason people are visiting this picturesque spa village is because of the healing hot drinking water. 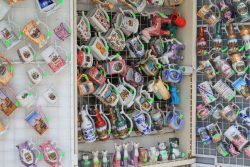 You will see plenty of people strolling around with a little cup with water in their hand. The water is for free, you can buy one of the pretty drinking cups and try it! 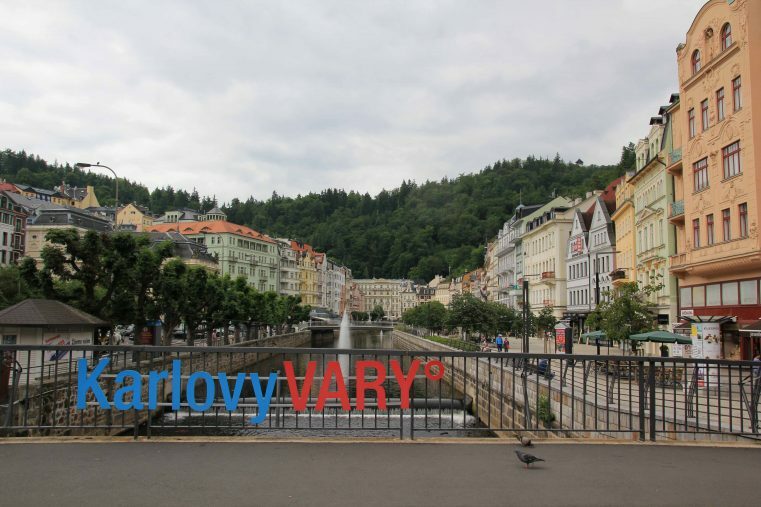 It’s beautiful to wander around the promenade, take some pics and eat some sweet typical Karlovy Vary wafers. 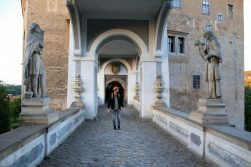 For a special city view: There is a great photo spot next to villa Lützow. 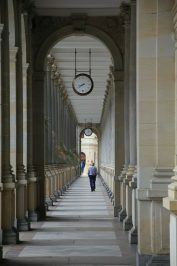 The lovely town has plenty of amazing historical buildings and hotels. Our favorite choice is the Hotel Ontario, which looks back upon a 150 year-long tradition! 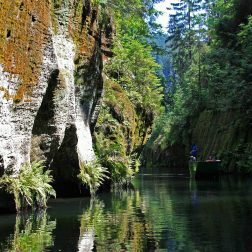 Day 7: With incredible sandstone rocks like the Pravcicka brana, the Bohemian Switzerland is a must see in the Czech Republic. 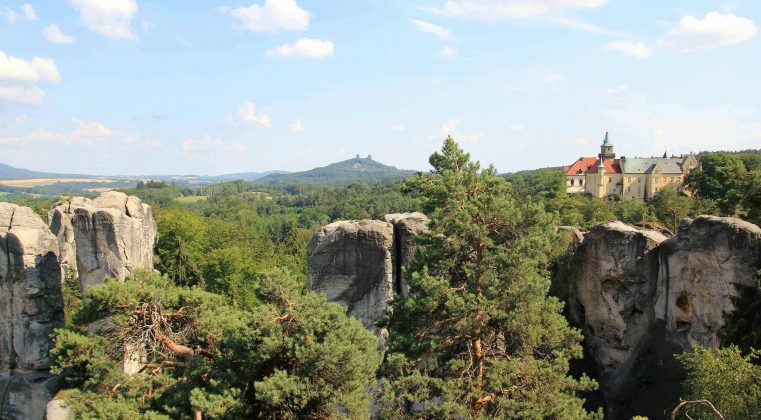 The main starting point for hiking is Hrensko – but don’t stay there for the night – it’s too crowded there. 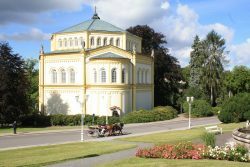 Our recommendation: Go with the car inside the park and stay in Mezna. It’s a quiet and an idyllic place, in the early morning you can even see deer. 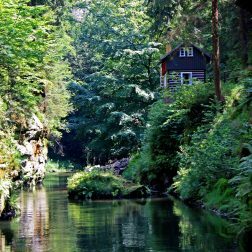 Mezna is perfectly next to the hiking round trail – so it’s a fantastic starting point too. 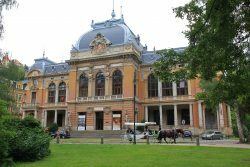 Be aware that the Pravcicka brana opens at 10:00, it was not fun standing in front of closed doors because we had been too early. 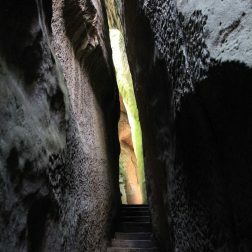 We would recommend to go there in the late afternoon, to avoid the crowds and to have the best light for taking pics. The roundtrip takes around 5 hours where you will pass the Edmunds Gorge with a boat. 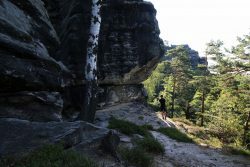 If you fancy to see more, you can extend your hike and visit the Wild Gorge. 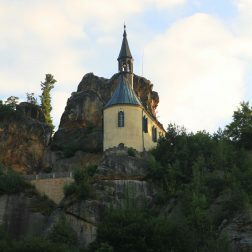 For the night we stayed at Penzion Na Vyhlídce, a lovely accommodation and great startig point for the walking trails. 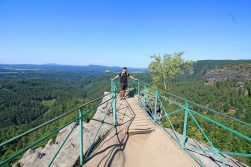 We had some time left, so we did a half day excursion to Germany to visit the famous Bastei Bridge. Day 8-9: Hiking in Cesky Ray was just amazing. 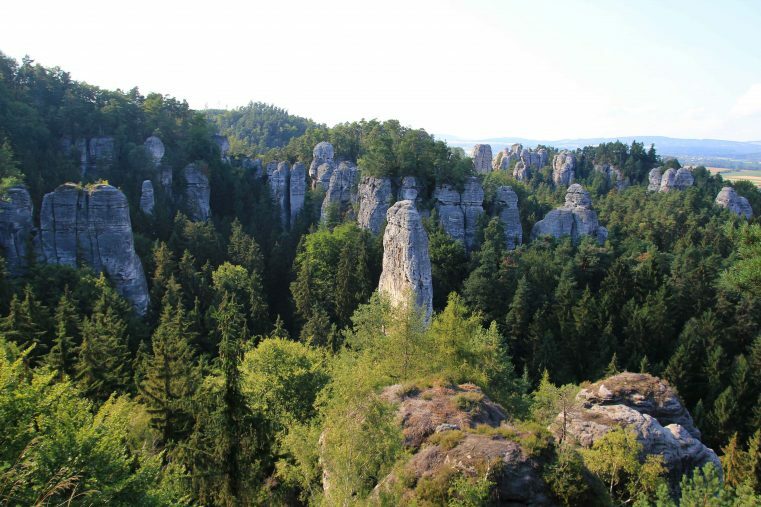 Dramatic rock formations located in deep shady forests– doped with the fairy tale castle Hrubá Skála. 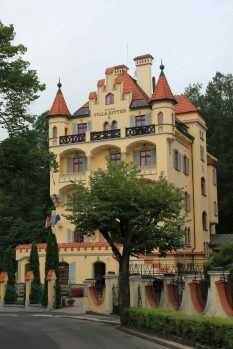 This castle, which is nowadays a hotel, was also our starting point for the hiking trail – there is a great roundtrip that takes about 3 hours when you’re walking. At best, you take a map in front of the castle! 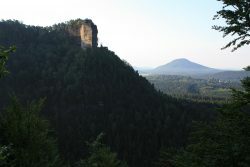 The Mariánská vyhlídka viewpoint features a fantastic view to Hruba Skala. You will find it on the yellow path. 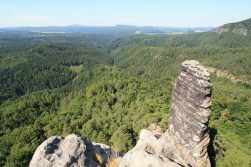 Another great viewpoint is the Vyhlídka na Kapelu –from where you can see a group of rocks called “Kapela”. Day 10-12: It was our second time in Prague and again it was a fantastic stay. 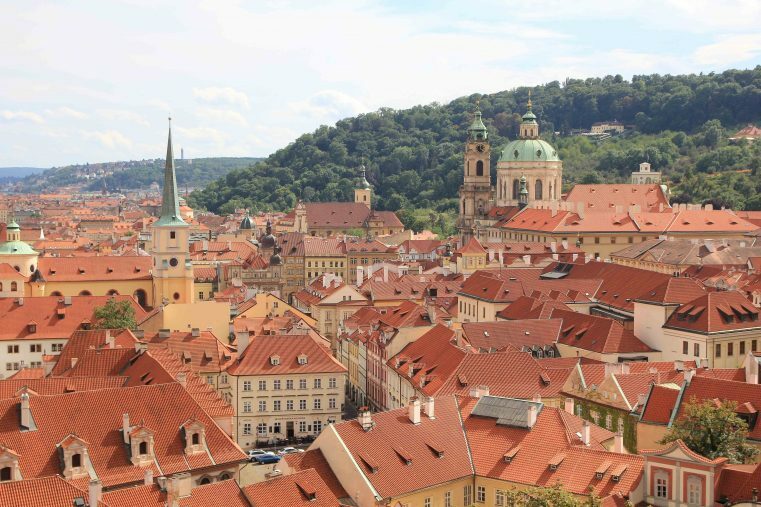 Honestly, Prague is one of our favorite cities in Europe –a mix of culture, vibrant lifestyle and good food. 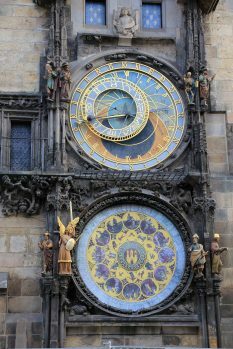 Don`t miss the Prague Castle, the Charles Bridge and the Old Town Square with its Astronomical Clock. 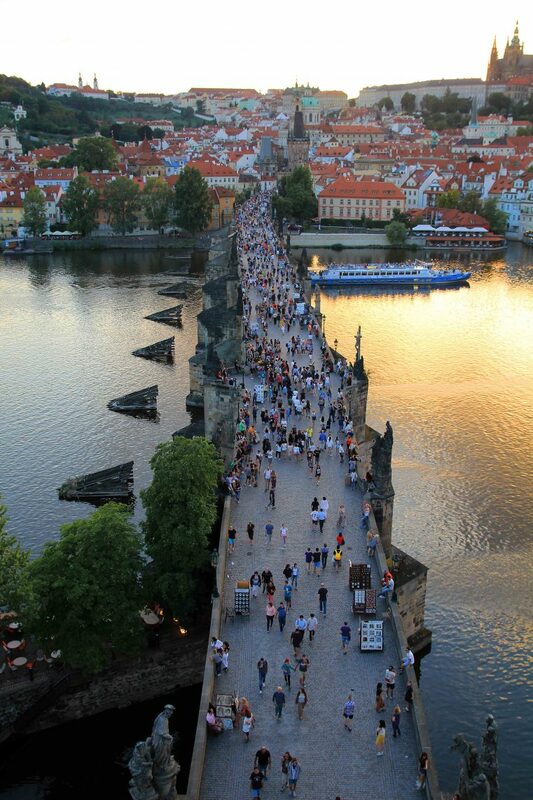 Tons of tourists pass the popular Charles Bridge every day – but just a few are going up to the Charles Bridge Tower. From there you will have an outstanding city view. 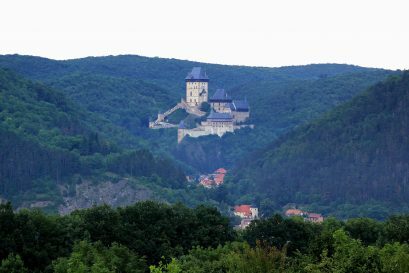 If you have some time left, you could also visit the Karlstejn Castle, 30 km from Prague. 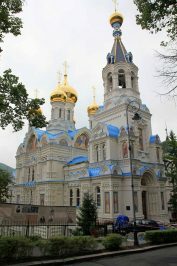 It’s a special looking Gothic Castle and with its blue roofs – it looks like out of a Disney Movie. 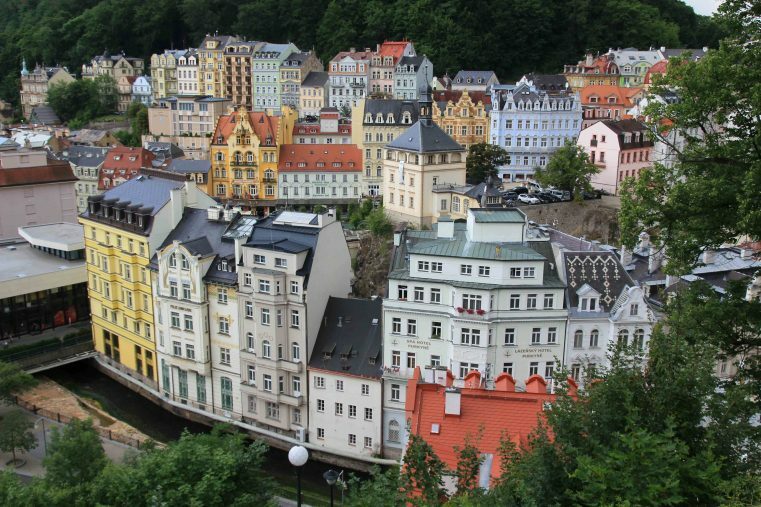 Flights to Czech Republic: We can recommend to check Skyscanner for cheap flights. 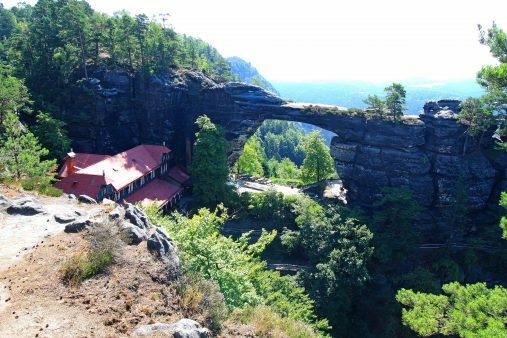 Bohemian Switzerland: It’s just next to Germany, so it would be possible to visit Leipzig and the Bastei Brigde. Opening hours: The opening hours tend to be later than usual sometimes, so check them out before. 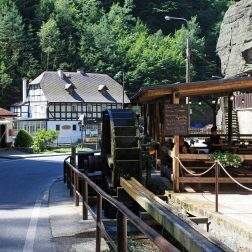 Like the Pravcicka Brana have opening timings from 10:00-18:00. 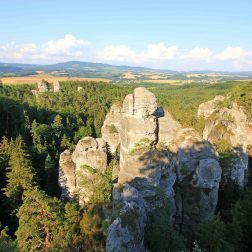 Bohemian Paradise: The area is huge and there a lots of hiking trails – if you want to see the rock formations you have to go the Hubra Skala. In front of the castle you can buy a map. 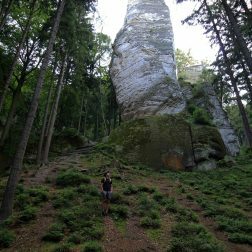 Tours: Amazing day Tours from Prague to Bohemian Paradise and to Bohemian Switzerland NP can be booked at Prague Active or at Viator. 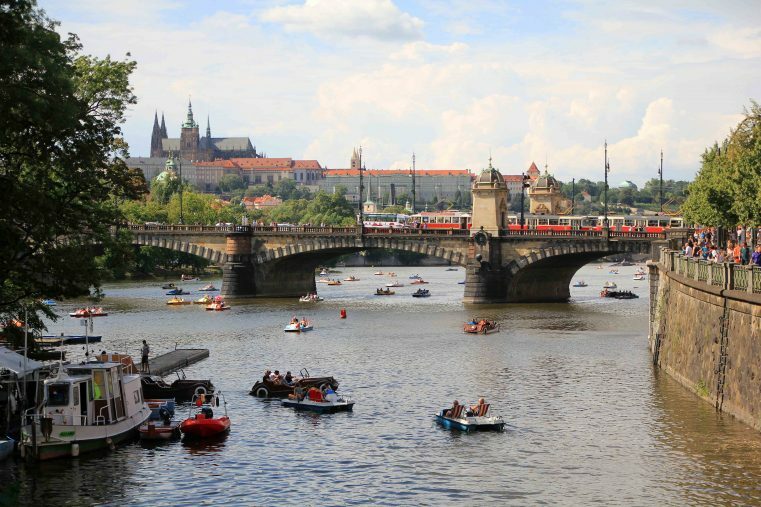 Prague: The best view you will get from the Charles Bridge towers!